Discussion in 'Femmes' started by jssy4eva, Jan 27, 2007. The clothes aren't my cup of tea, but I think she looks good. Thanks for sharing the link to these. Minus the cigarette, lol, they're great shots. so, is this a photoshoot for a magazine..or? btw, she's still in ny, i wonder if she's shooting for a campaign? thanx for posting them my computer is on the fritz so i have to use my local libraries' & it's very limited .. I agree. She was working her angles, lol. ^Thanks for posting! Jourdan looks so cute in these. That hair looks great on her. This has to be one of my favorite edits from her! 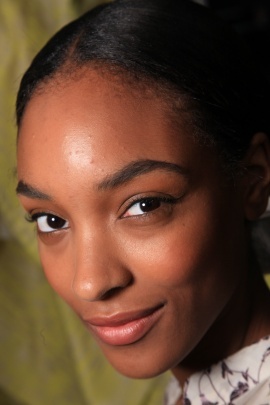 Jourdan always delivers but this edit looks so fun, fresh, and natural! Superb styling as well.